My name is Michael or Mike, aka Earthdrifter, a Genexer who managed extensive travel on and off from the mid-90s till the mid-00s. I’ve been to many lands, but can’t recall how many; for me, counting countries can’t provide an accurate measure of how much I’ve travelled. For example, I spent four days on the western side of Turkey. Two of those days I was taken ill after experiencing my first ever bout with diarrhea. I was shocked by this enigma that sucked out all of my physical energy. So, have I really been to Turkey? Sure, but barely. I was once in Luxembourg for less than 24 hours. Does that count? Luxembourg is tiny so why not? I then drove a rental car straight through Belgium and picked up a monolingual French speaking hitchhiker. We got by with body language. Have I been to Belgium? Kind of, but not really. On the other side of the spectrum, I’ve been to Scandinavia more times than I can count, and even lived there for a total of three years on two occasions. Have I been there? Sure. I’ve hiked the Inca Trail, studied Spanish intensively in Guatemala, and witnessed Gibbon monkeys flying high in the Sumatran jungle. I’ve attended cooking classes in Bali, been crushed into the earth by gigantic waves in Baja, and swam with White Tip sharks in the South China Sea. I’ve taught English in a small city in Japan, been lost in a labyrinth in Morocco, and visited a hippy beach village in Afro Brazil. 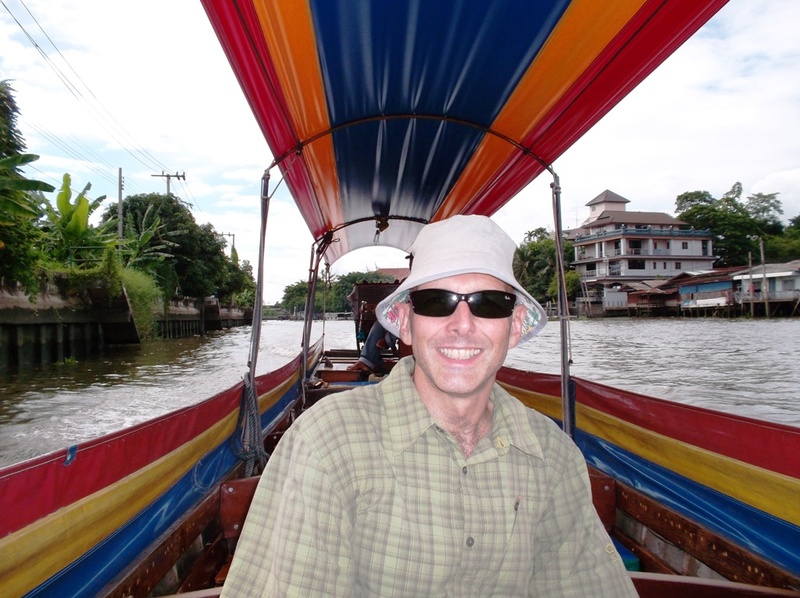 After a five-year hiatus from travel, I decided to hit the road again in early 2011. What has made these recent trips new and unique is consistent blog posting coupled with indefinite travel. For the first time, I have no home base. In 2011 I covered ground visiting Nicaragua, Costa Rica, Panama, India, Thailand, Cambodia, and India again. So far in 2012, I’ve spent two months in Colombia, a month in Ecuador and then two months in Perú. I provide thoughts and info about the places I visit. I let you know about culinary discoveries, costs, transport and therapeutic tourism. I try to pick up positive pieces of the different cultures I come across, making each specific cultural attribute a part of my own unique subculture. The goal is to create my own improved culture through carving off what I think are great attributes of the cultures and subcultures I come across. Through this culture carving, I hope to constantly improve my personal well-being. I call this shaping personal culture. Up until I restarted my travels in 2011, photography hadn’t been a significant part of my repertoire. Since then I’ve taken a full 180º turn. I’m constantly engaging in photo exploration. If there is one that you like, click on it for a much larger and more detailed view. Earthdrifter was born in my mind over a decade ago, but I always made justifications for not doing it, silly excuses. I’d thought: It’s not economically feasible. Drifting throughout the earth isn’t responsible or purposeful. I chose to conform; I became a docile victim in a conditioned society. Before I started these indefinite travels, I trapped myself in an expensive city with a salaried position that I felt was sucking the good energy from my soul. The insane, slave-like work hours had started to age me at a faster-than-natural pace. We only get one life. I want to create opportunities through choices that allow me to live this life to its fullest potential. I’ve realized a revelation. My natural elements are more animated while exploring the unknown. I love to learn languages. When in another culture, interactions and culture learning are enhanced when making an effort to speak the local tongue. I love to travel, write, and imagine possibilities. I enjoy eating exotic food, smelling new air, and looking at diverse landscapes while noticing nuances through observing everyday life. I love to expand my horizons through fresh, new, lateral ways of thinking. Earthdrifter is a constant experiment and work in progress. Come back often. Watch it grow. Great blog, really pleasant and smooth to read through 🙂 . My only question is: what do you do to earn the minimum necessary amount of money to provide for those few things you have to pay for? Thanks for directing me to your article on ginger. You’re preaching to the choir when you talk to me about this wonderful food. I’ve eaten it for years in many forms, but It came in especially handy on my trip to China. Every night I brewed a cup using fresh Ginger root – no sugar or honey (don’t need it) – and I enjoyed a wonderful trip with no digestive distress. Happy scrabbling! GINGER: Great name by the way :-). You’re so right, it’s much better unsweetened. Fresh ginger is the KEY ingredient. This is what makes the tea. You don’t need anything else. If I have a green tea bag on hand I throw that in, same with a cinnamon stick, but again, just the ginger and you’ve got your elixir, so soothing. Man, everytime I check out this blog it surprises me! Wow! There’s no doubt that you’re doing something with your life. Hope you keep going and growing! The next step is to either write a book or your own tv series. Take Care! JUAN: One thousand thanks for your kind words. Going and Growing: Love it! Wandered here by chance…nice blog posts, beautiful photos…only read two so far and I am going back to read more. Good work! Keep writing! LYNDA: A thousand thanks for your kind words. Thanks for subscribing too! Wow! This is so interesting! I love your pictures from India! I just subscribed to your blog.